The grandmother of one of our team members died. 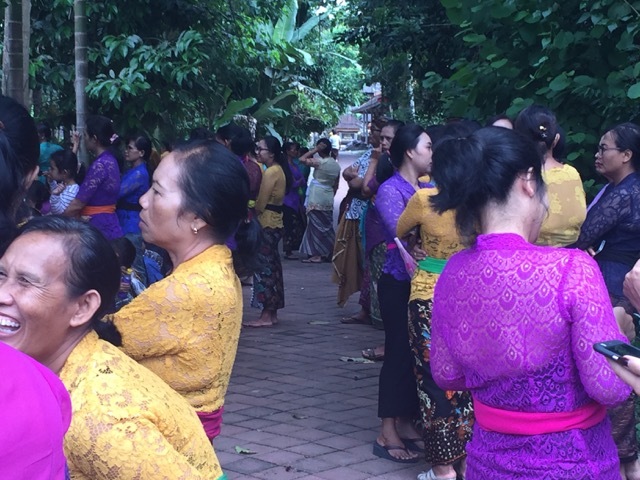 The whole village takes part in the process of sending her body and ashes off. The whole process takes about ten days with members from each household in the village participating and preparing many offerings. Dr. Margret from Jiwa Damai visited the compound and like other village members brought rice, coffee and sugar and an envelope with a donation. The people participating preparing, washing the body are all fed with the support of the villagers food donations. On the first day, after many rituals, the actual cremation takes place. 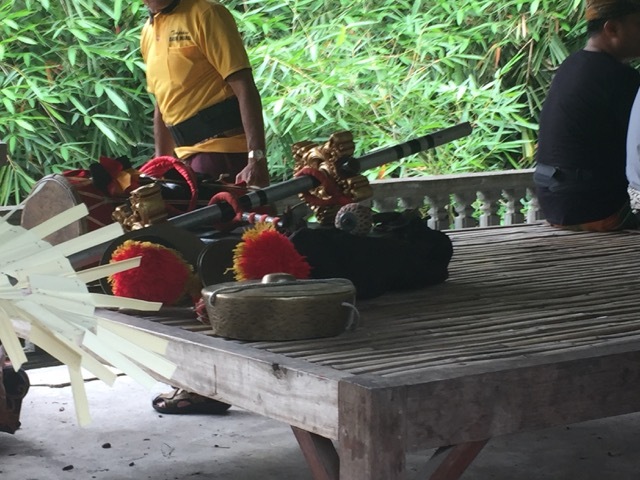 The Gamelan group playing their instruments and beginning the walk through the village to the cremation grounds. Man follow and carry the body in a special container, built according to the caste the grandmother belonged to. The women walk separately at the end. In the cremation grounds, the priest again performs blessings and ceremonies before the corpse is set on fire. There are actually two fires, one for the body and the other one for the coffin looking like box in which she was carried on. Most villagers will stay, talk and smile a lot while this takes place. After which the ashes will be brought by the closest family to the see, to be set free in the water.